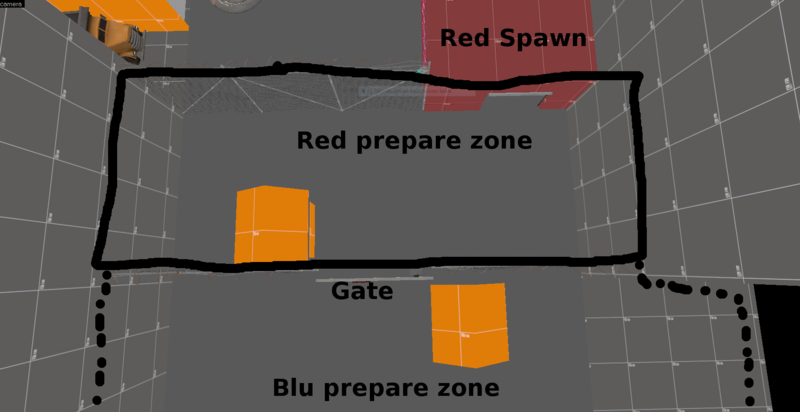 How could I do this spawn area to work? Discussion in 'Mapping Questions & Discussion' started by Hyperion, Jun 28, 2015. So, the title tells story. I really like my concept but I have no idea how I could make that work. When the prepare time is over gate would open and release teams. That would need some model editing and animating too. But, have you any advice? That really does not explain anything. Rather than using the Hydro barricade, you could use security_fence256_gate02 parented to a func_door_rotating. Oh. I thought my problem is obvious. Have you tried using player clip. The walls really don't need to be as long as the player clip. Use blockbullets to stop enemies from shooting in. 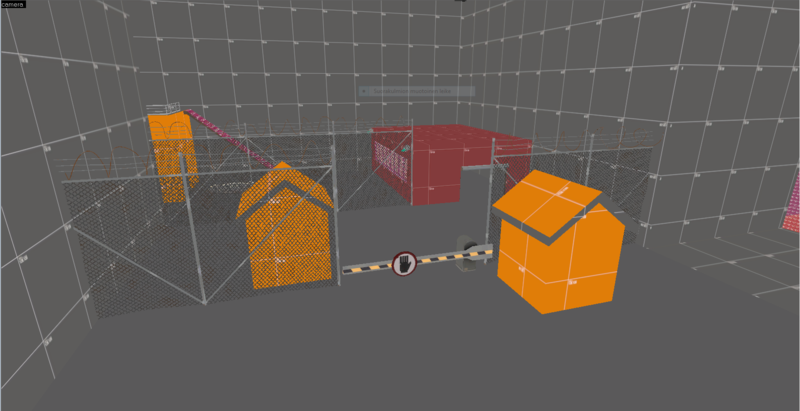 you could always do what they (the others) say, and add in a brush with a tools\toolsnodraw texture to stop the bullets.